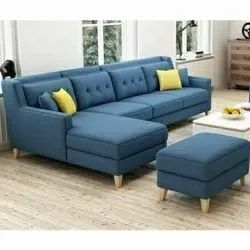 We are offering Modern Sofa Set to ourclient. 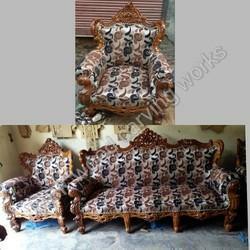 Owing to the rich industrial experience and expertise in this business, we are involved in providing Wooden Carved Sofa Set. Standing majestically in your living room, this classic styled three seater sofa is sure to captivate your guests. It has a high button tufted curved back that makes the sofa even more stunning. Its artistic armrests , smooth velvet upholstery and coral pink colour give the sofa a distinct look and make it appealing. price mentioned for sofa with pillows.